Welcome to the land of freedom – An ocean steamer passing the Statue of Liberty: Scene on the steerage deck / from a sketch by a staff artist. Courtesy of the Library of Congress. 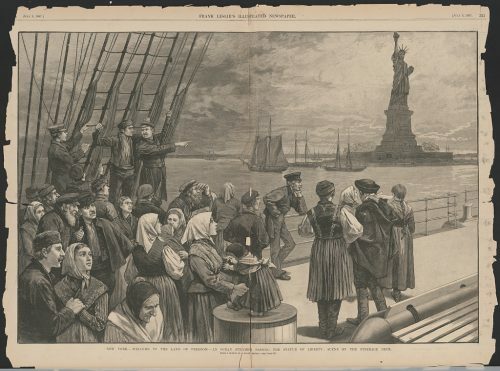 Erich Weiss (who would become the great Harry Houdini) landed in New York with his family in 1878 at the tender age of four, part of a wave of mass immigration that would expand to over 24 million new arrivals to the shores of American by 1914. Please note this program takes place at the Jewish Museum of Maryland.